This is a professional book focused on foundational principles of art and illustrated by old and contemporary masters. It gives serious beginners to professional artists an in-depth understanding of the old masters' unparalleled approach to paint application. It includes ten detailed step-by-step portrait demonstrations. 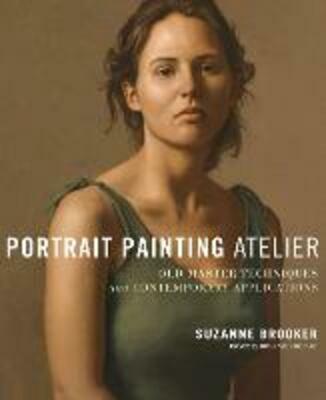 "Portrait Painting Atelier" provides serious artists with a course of instruction that demonstrates in step-by-step detail the old masters' technique of layering paint over a toned-ground surface, a process that builds from the transparent dark areas to the more densely painted lights. In this method, the tone of the ground serves to unify the overall painting as well as optically influencing the thinly applied layers of pigment, creating the effect of a beautiful glow that illuminates the skin tones and achieves a soft blending of colour tones.